Europe is a cultural wonderland full of adventure and spectacular scenery. It comes alive in different ways throughout the year, but there is something incredibly special about Europe during the festive season. The cities light up with music, entertainment and incredible food, the scenery is given a snowy makeover and the people become even more warm and inviting then you remember. So if you’d like to try something a little different, and see Europe transform like never before, then a European Festive Holiday is just for you. With over 20 years experience, Albatross Tours allows you to experience the beauty of Europe during the festive season on their specially crafted Christmas Tours. Forget the rush of one-night stopovers and packed out itineraries. Albatross takes pride in organizing tours that highlight the nostalgia, joy and romance of the festive season across incredible destinations. They do so by ensuring their itineraries are organized at a relaxed and leisurely pace to allow you to enjoy the destinations you have travelled so far to see. So before you book another typical European Summer getaway, bring that holiday countdown forward and consider one of these unique Albatross European Christmas, New Year and Winter Wonderland Tours! Imagine escaping the stress of cooking the Christmas ham, and instead parking yourself in a first class chalet style hotel in the enchanting Austrian Tyrol? During this eight day tour you’ll enjoy a hot chocolate and a traditional Austrian meal at the nation’s oldest restaurant, after visiting ‘The Sound of Music’ Salzburg. You’ll also tick off all your Christmas shopping in medieval Innsbruck and the unique markets across the Bavarian Alps. And, just when you think the tour doesn’t get anymore romantic, you’ll indulge in a horse drawn carriage ride across the Austrian countryside! Christmas shopping can at times become overwhelming, but not when you’re roaming the streets of Frankfurt, Salzburg and Munich! 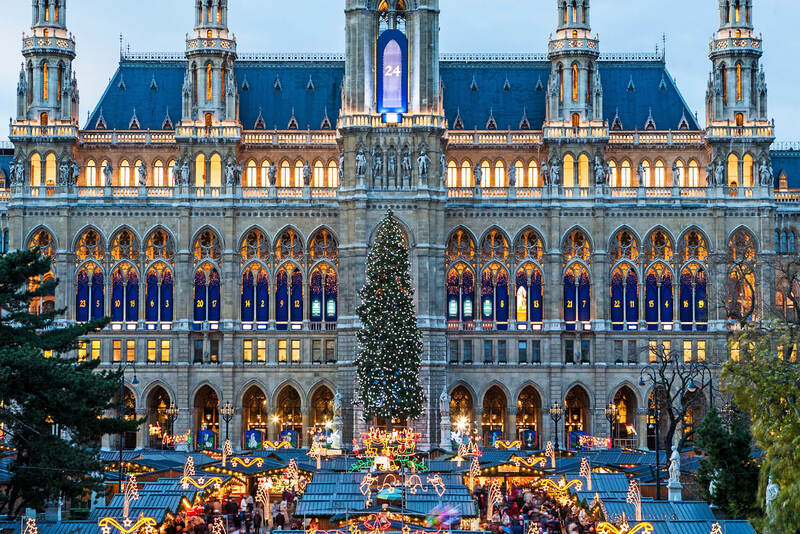 This tour allows you to immerse yourself into the festive spirit that takes over Germany and Austria in the weeks leading up to Christmas and be at home in time to celebrate Christmas Day. You’ll enjoy a night tour of the romantic city of Rothenburg whilst also embracing the breathtaking views of Zugspitze Mountain on a cable car ride. 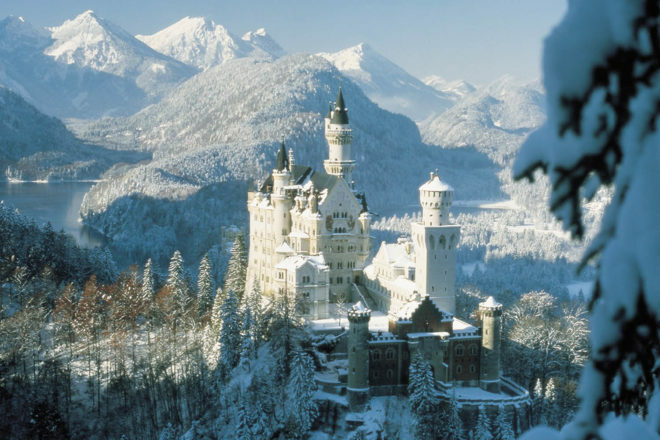 A trip to the theatre and picturesque Füssen will finish off this perfectly unique Christmas holiday! If Christmas for you is all about the food, then Germany is where you need to be. On this ten day festive adventure you’ll delve into the Christmas spirit like never before. Nibble on a ginger biscuit from the Christmas Markets in Munich, grab a hot chocolate on the way up to the exquisite Neuschwanstein Castle and enjoy a traditional Christmas Eve dinner in the Bavarian village of Oberammergau. If you’re still not satisfied, then you can also down a few celebratory wines following a tour of the Oberammergau Passion Play Theatre. Have a little more time to spare, and feel like experiencing three different types of Christmas’? Then this is the tour for you! 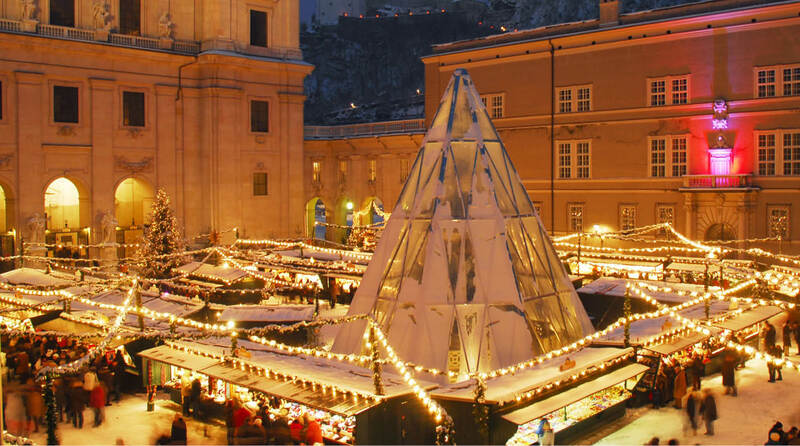 Across eleven days you’ll indulge in the festive wonders that take over Paris, Milan and Lyon. One day you’ll be shopping in Milan’s luxurious Golden Triangle and the next you’ll be strolling the Christmas markets of Chamonix. With a uniquely organized itinerary, you’ll be able to explore the quirky corners of each city, while also enjoying some ‘My Time’. Some people love the warmth of Christmas, while others prefer the buzz of New Year Eve. If you’re someone who loves both, then spending this time in Berlin will be the highlight of your year! This six day tour allows you to ride the festive spirit of Christmas right into the New Year and experience it in true Berlin style! You’ll check off some of the most historically significant destinations in Europe including the Berlin Wall, the Bridge of Spies and Checkpoint Charlie. In contrast to this, you’ll also enjoy the firework extravaganza and celebratory joy that takes over the incredibly beautiful city for New Years Eve. 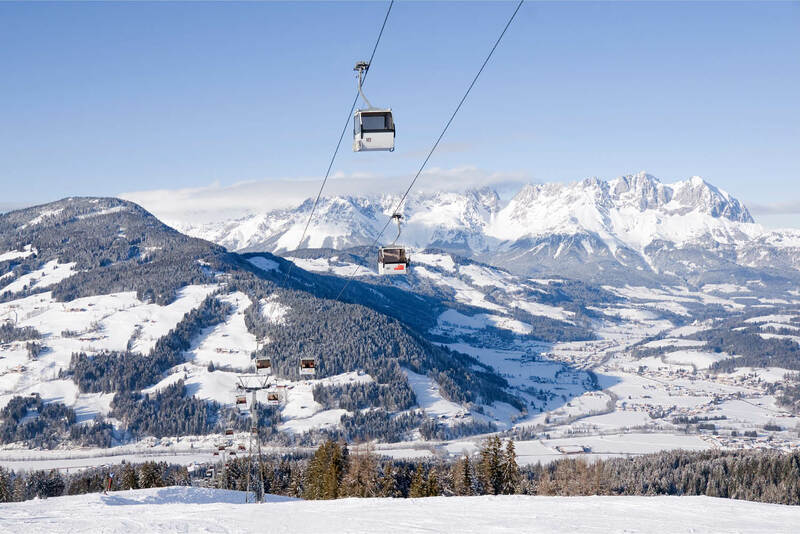 Some destinations across Europe should only ever be experienced during winter, and the Swiss Alps region is one of them! Sit back and relax in a uniquely charming hotel in beautiful Zermatt, surrounded by dozens of 4,000m high mountains. During this extended tour, you’ll get to explore the stunning Austrian Lakes District and Klosters, glide through the Swiss Alps on the Glacier Express, sip mulled wine in Salzburg and experience a nostalgic horse drawn carriage ride through the Oberhofalm Mountain Hut. It’s the definition of a perfect winter getaway! 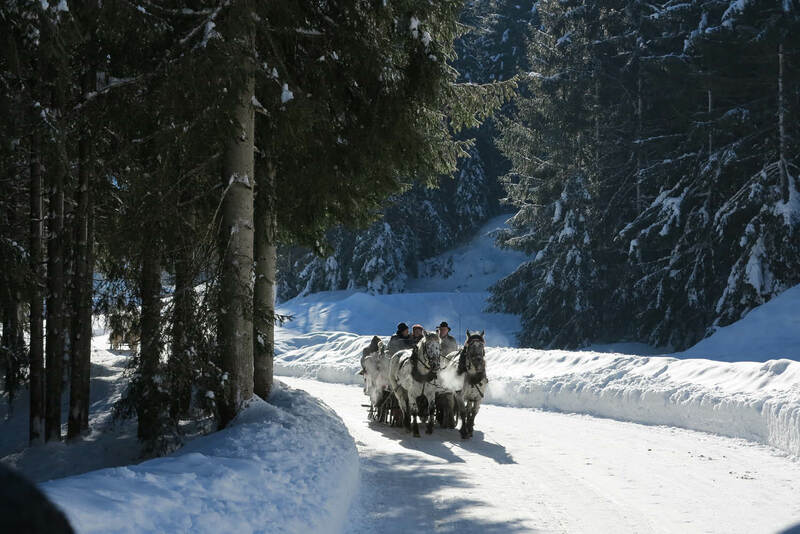 Enjoy christmas in the Austrian Alps, festive Christmas Markets and horse drawn carriage rides!